93% of online activity starts in the search engines; 76% of users never go beyond the first page in search engine results page; between 70 to 80% users rely more on organic search engine results than paid ads. These are not mere stats; this is how users behave online. If your website isn’t optimized for the right set of keywords you won’t be able to draw mileage out of the search engines. Search Engine Optimization or SEO is the next most important thing to web development. Compared to other forms of digital marketing SEO is the most cost effective way to reach out to target audience and the same time enjoy great ROI. A strong SEO effort ensures a continuous inflow of leads, and in effect high revenues. 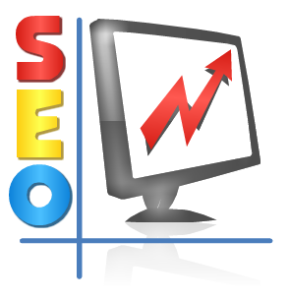 SEO is one of the most potent tactical tools in an online marketer’s arsenal. Having a strong SEO effort would ensure that the SME has an edge over its competitors. We at Australian web world follow a SEO strategy analyzed by our Research team, which exactly meets the algorithm of Google search engine and gets listed in the top of the results. Some brands can spend significant amounts of time and money to capture a visitor’s attention immediately, but they often overlook the task and budget needed to create search engine friendly websites. And that is where Australian web world will add value. Our experience in the domain helps to generate high visibility in natural search results through organic search traffic. We would love to meet our client at their location. Please click the below button to contact us and get a Quote. Lets schedule an in person meeting to discuss your project. Give us a call to set it up.